This beautiful bag appears to have been hand beaded with silver sequins and glass tube and seed beads. 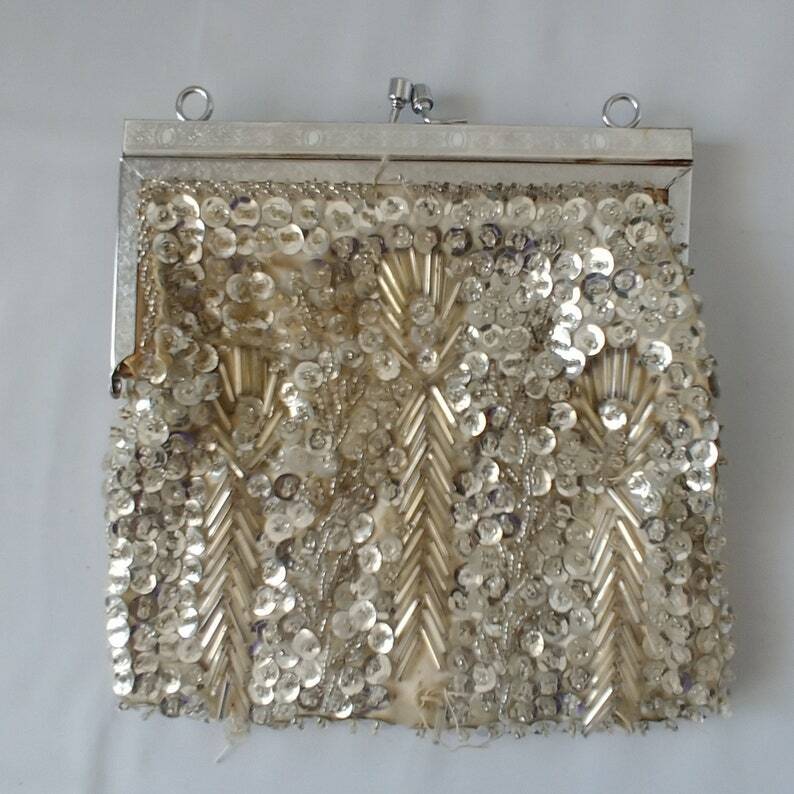 Both sides of this cream-colored bag are filled with hand-stitched shimmering accents. The silver-colored closure is embossed with a graphic border and had 2 rings for attaching a chain. The bag is lined in ivory satin and had 2 pockets. The tag reads "made in Hong Kong." The bag is 6.75 inches long and 7 inches wide. CONDITION: This well-loved bag needs some attention to its details. Some of the beads are missing and there are loose threads. There appears to be a lipstick stain on the interior lining.